Outstanding fees prohibits qualified Wits students from receiving their degrees. Despite completing their courses in the recommended time, Wits students are unable to receive their degrees due to outstanding fees. Sibulele Mgudlwa and Luke Draper completed their studies in November 2014 but only received their degrees in March 2016. Mgudlwa’s BCom was withheld due to R60 000 of outstanding fees. “I completed my degree in 2014. I found out that I had qualified, I had completed my degree but obviously I could not graduate; this stunted my job seeking prospects,” said Mgudlwa. 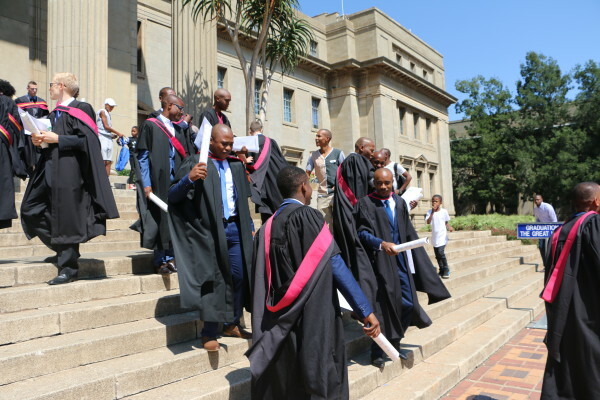 The Wits registrar gave him a letter that basically said, “Sibulele has qualified but if you want his specific results call the university.” However due to past scandals of fraudulent qualifications, the letter failed to secure him a job. “Universities should reimagine their entire approach to tertiary funding” said Mgudlwa. He emphasised that the National Student Financial Aid Scheme (NSFAS) is not to blame because it is a useful government tool. However, Mgudlwa questions when the government will pay attention to the “missing middle”, who he defines as people like him who are “’poor’ but ‘not poor enough for NSFAS’”. Draper’s BaPVA was withheld due to R7 000 of outstanding fees. Draper said, “it was a bit of an inconvenience” because he had hoped to apply for a scholarship to do his Masters but he needed a copy of his academic record. Unlike Mgudlwa, Draper was able to get freelance work because he is required to perform so he can easily prove his qualification. According to the deputy registrar of Wits, Nicoleen Potgieter, it was significantly only until the end of 2015 that the senior executive team of the university agreed to allow students, “who owed R15 000 or less and who signed an acknowledgement of debt agreement would be allowed to graduate”. Before this agreement a student with outstanding fees would not receive their degree or latest academic record. Wits Vuvuzela, Preparing for graduation? 5 things you have to do!, March, 2015. Wits Vuvuzela, Witsie sells book to buy dreams, August, 2015.